Our program is designed to reward brokers for sending us repeat business. Open to all APEX approved brokers. 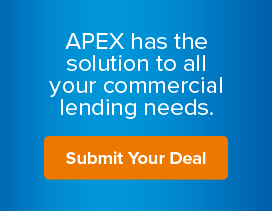 Note: The broker must currently be approved by APEX or in the approval process. All earned rewards will be processed and paid to the brokers at the beginning of the following calendar year. The program is based on units closed in a single calendar year, not dollar volume. The broker becomes eligible to enter the rewards program and automatically earns $250 and attains Sapphire status. The broker earns an additional $750 per closed loan to their account balance and attains Gold status. The broker will receive advanced notice of any APEX promotions. The broker is eligible for Correspondent status, including special pricing. For those not interested in becoming a Correspondent, they will be given par pricing on all deals from #5 onward. Once a broker attains entry into the rewards program they will not have to requalify in the following calendar year. Brokers will need to close deals in the following year to remain in the program and retain their status. Sapphire Tier brokers will need to close one deal every four months to retain their status. Payouts to Gold brokers in the 2nd year will be $750 per deal, as long as they meeting their closing requirement. Payouts to Sapphire brokers will be $500 per deal, as long as they meet their closing requirement. We hope you’ll take advantage of this great rewards program and earn more with APEX Mortgage.